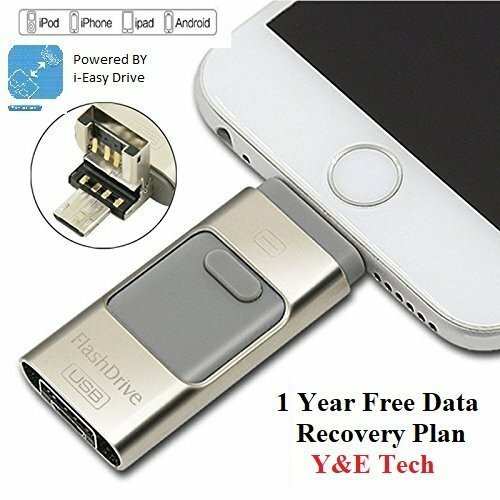 Never search for an open outlet again! 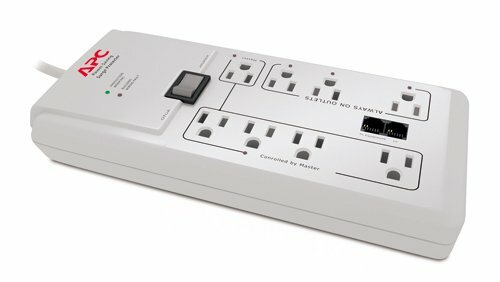 Tripp Lite’s SS240806 power strip with integral AC surge suppression will give you surge-protected outlets where you need them, when you need them. 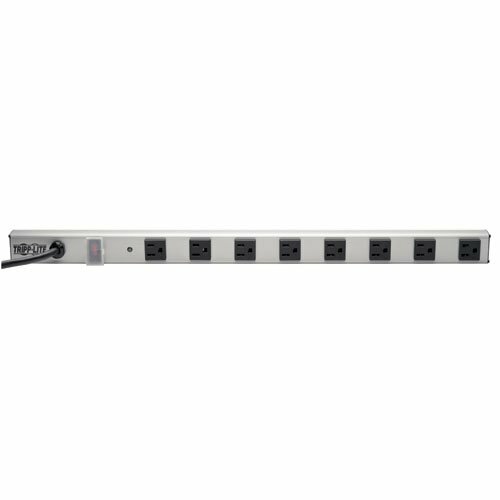 The SS240806 contains a 6-ft. cord and 8 NEMA 5-15R outlets with 2.25-in. center-to-center spacing – wide enough for most transformers or adapters. 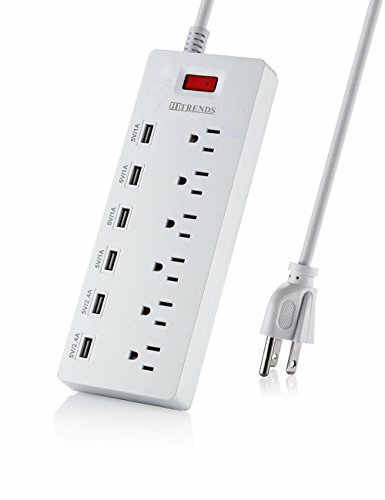 And to eliminate need for a separate surge protector that can clutter up your work area, the SS240806 contains a premium-grade surge suppressor rated at 1050 Joules for protecting computers, testing equipment and other sensitive electronics from destructive, high-energy, AC transient surges and EMI/RFI line noise. 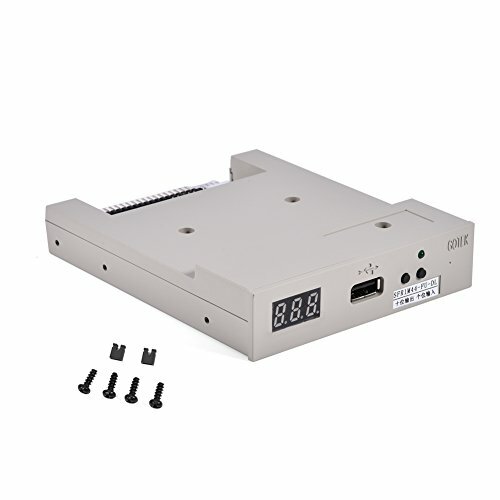 Encased in a rugged, all-metal housing, it comes with adjustable mounting clips for either vertical and horizontal mounting, making the SS240806 ideal for a variety of uses including computer rooms, workbenches, table tops, repair shops, labs, test areas, work stations, offices, hobby shops and more. An illuminated, rocker-style power switch with a locking, transparent guard helps prevent accidental turn-offs, while a 15-amp circuit breaker guards against dangerous circuit overloads. To match the decor of most professional settings, it has an attractive gray housing with black receptacles. 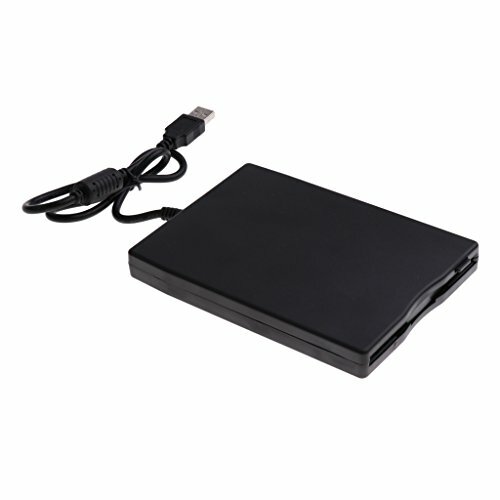 protects computers, testing equipment, workbenches, garage equipment and other sensitive electronics from destructive, high-energy, AC transient surges and EMI/RFI line noise. 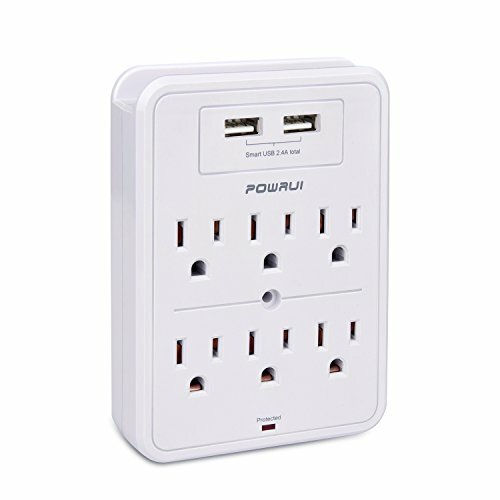 8 WIDE SPACED OUTLETS POWER ALL STANDARD ELECTRICAL EQUIPMENT: Eight NEMA 5-15R outlets protect connected equipment. 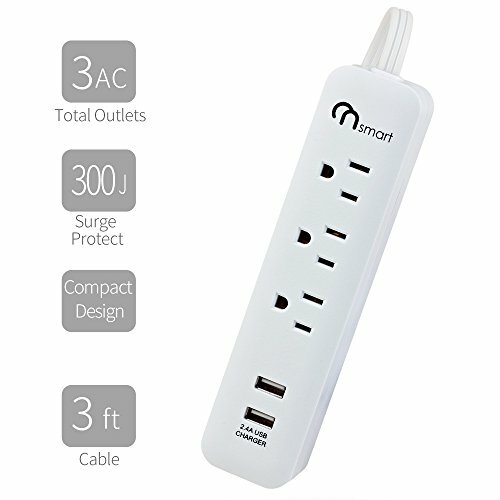 Outlets are conveniently spaced 2.25 inches center-to-center, allowing enough room for most AC adapters and transformers without blocking adjacent outlets. A 6-ft. long power cord acts like an extension cord to reach most wall outlets. SAFETY FIRST! HIGH JOULE-RATING & PREMIUM SAFETY FEATURES: 1050-Joule, multi outlet strip surge protects sensitive electronics from destructive AC transient surges and line noise. An 15-amp resettable circuit breaker prevents dangerous circuit overloads while rocker-style, illuminated power switch (with locking safety cover) prevents accidental turn offs. 2-FT LOW PROFILE METAL FORM FACTOR: This multi outlet strip fits in the most confined spaces unobtrusively – ideal for protecting multiple loads in networking, telecommunications, and audio/video applications. Included adjustable mounting clips accommodate both vertical and horizontal installations. LIFETIME WARRANTY: For peace of mind, the SS240806 comes with a lifetime warranty.